Enter email to create account in a single click. Win up to $200 bitcoins in hourly free spins. 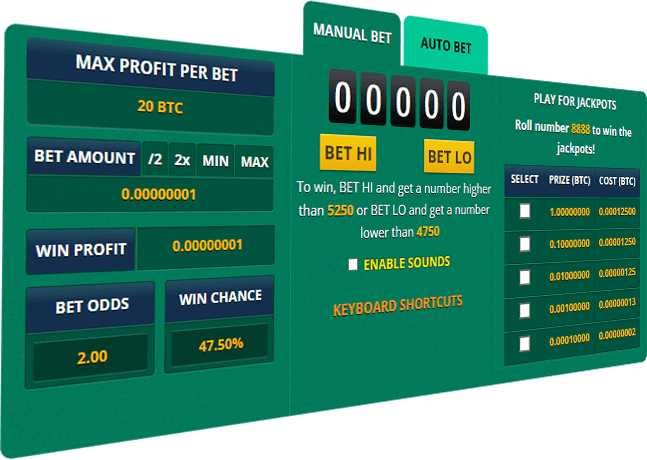 Multiply your bitcoins upto 4750X by playing provably fair Hi-Lo Dice Game. Trying your luck to multiply bitcoins doesn’t get any simpler and better than this! 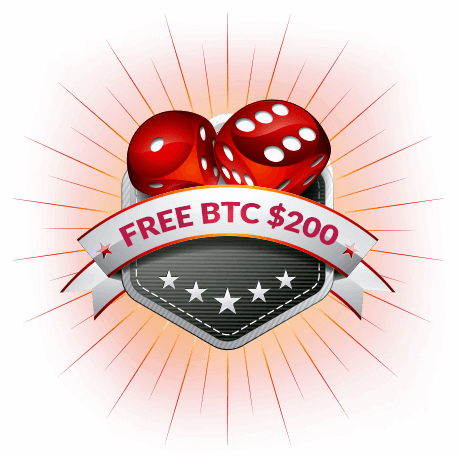 Freebitco.in is a bitcoin dice game with a high cost-to-reward ratio. Add to that the sheer simplicity, speed, and quality of gameplay and you’re in for a crypto-treat! We have the most popular bitcoin dice game on the internet with more than 18,315,055 registered users, a whopping 86,792,416,113 games played and upwards of 172,305.38 bitcoins won by Freebitco.in users. 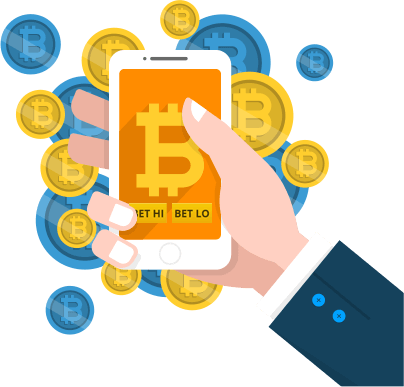 To multiply your BTC by 4,750X, all you need to do is to sign up with your email address and start gambling with bitcoins right away. Play our simple prime dice game by clicking Play Now and start enjoying bitcoin gambling. Free rolls for free bitcoins every hour. Win up to $200 per roll in bitcoins. Decide how much to bet, when to bet and what to bet on. Take charge of your winnings. Let your browser do the work for you. Set parameters and conditions and get rolling. Choose a comfortable bet odd between 2 to 4750. This lets you decide your risks and multiplication faction. Choose your winning chances: Go as low as 0.02% or as high as 94.06%. If you’re adventurous enough, wager bitcoin on the jackpot, roll 8888 and see the big bucks roll in. Freebitco.in offers you a provably fair and just dice game that only needs you to pick one of two options: HI or LO. Freebitco.in was launched in 2013 with only one mission in mind: to establish a provably fair platform for a user-friendly, hassle-free experience. We have introduced bitcoin dice gambling to over 18,315,055 users; we are the world’s favorite bitcoin casino. Instant deposits, instant withdrawals, and no KYC needed. Not convinced? We’ll let the numbers speak for themselves!